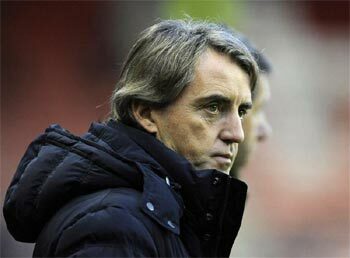 Former Manchester City boss Roberto Mancini has been appointed as the new manager of Turkish side Galatasaray on a three-year deal. The former Italian football player replaced their sacked manager Fatih Terim. Mancini will reportedly receive 3.5 million euros for this season plus 4.5 million euros more for each of the next two campaigns, along with a 3,00,000 euro-bonus if the club wins the Turkish title and reach the Champions League quarter-finals. According to Sport24, the Italian, who was sacked as City manager in May this year, was quickly appointed by the defending Turkish champions officials as their replacement for Terim given that the club has endured a miserable start to the season despite buying former Chelsea star Didier Drogba. Galatasaray lie eight points behind leaders Fenerbahce after winning just one of their first five league games and also suffered a 6-1 defeat at home to Real Madrid in their opening Champions League group match, the report added.